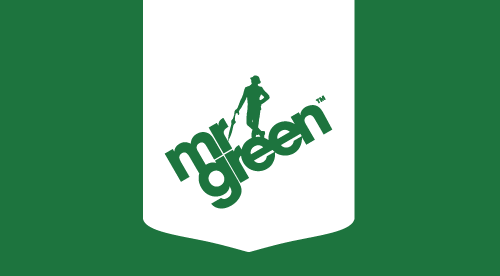 Swedish gaming site Mr Green is always looking for new and exciting expansions to embrace, which meant no surpirse when they announced their movement into the world of sports betting. The online sportsbook launched to coincide with the Euro 2016 football tournament held in France and hit the ground running, offering up a fresh, clean interface to shake up sports betting online. What Software Does Mr Green Sports Use? Mr Green has partnered with sports betting experience company Kambi, based in Malta, where Mr Green is also licensed and regulated. Rather than simply outsource the sports book, Kambi offers a collaborative sourcing approach, which allows Mr Green to innovate and differentiate the platform from other sports websites using the same software. It also has a dedicated mobile app that can be downloaded for iOS and Android. The new sportsbook platform has a clean, minimal design, all in stylistic shades of green one would expect of the titular company. A series of well-spaced tabs and windows welcome players, highlighting popular events and bets, as well as the option to dive into a particular sport, or the Mr Green specials. A handy search bar at the top allows users to search for specific sports, teams or leagues. The responsive design of the website means that it appears the same on both desktop computers and mobile devices. Another key feature of Mr Green Sports is that it gives you as much info as it can to make an informed bet. For example, clicking on a particular match will bring up a window filled with statistics, such as the last six results of the two players or teams and the last results of when they faced each other, to help guide you as you gamble. As Mr Green offers one of the largest selection of sports to bet on, it is a sportsbook that caters to all tastes and all betting types. Betting options include single bets, each way, combination bets or as system bets. The site also supports a number of different styles of accumulators, including Trixie, Patent, Yankee and Heinz. A tab at the bottom of the page allows you to change the default fractional betting system to the European decimal one, or the American favoured money line odds. The odds at Mr Green are in line with their direct competitors, but because they cover such an extensive range of events, they may be one of the only sites that take a bet on specific markets. What Betting Markets are Offered at Mr Green Sports? Mr Green offers bets across a wide range of sports, with the main markets being football, tennis, horse racing and cricket. There are also popular sports such as basketball, golf, ice hockey, in addition to Rugby League and Rugby Union. However, the diverse list of sports and activities include lesser known markets like bandy, handball, pesapollo, yachting, WWE, UFC and MMA fighting. Like many sports websites, it also has options to bet on non-sporting activities, such as politics, film and TV awards and literature prizes. Does Mr Green Sports Offer Live Betting? Yes, although Mr Green is a relatively new sportsbook, there is an in-play tab on the site, allowing you to bet live across a multitude of sports, including football, tennis, badminton and snooker. What Bonuses are Offered at Mr Green Sports? At the present time, Mr Green offers no promotions on the sportsbook, but money won through sports betting can be used on their casino website, which offers a generous 100% Welcome Bonus, plus 100 Free Spins on Mr Green Moonlight for simply depositing and playing £20 in real money. Mr Green offers extensive customer support features, available 24/7, including telephone, email, online chat and feedback form. There are a number of ways to fund your Mr Green sports wallet, including Visa, Mastercard and Maestro, as well online services such as PayPal, Skrill, ClickandBuy and Neteller. Payments made in are usually available straight away. If players are withdrawing back onto a debit or credit card, they may need to wait 1 to 3 working days, while online payment systems will receive the money much faster, often within 24 hours. Mr Green allows one free withdrawal every seven days, with a fee of 1% for any additional withdrawals, maximum of £10. Mr Green’s foray into sports betting is very exciting, offering the same level of quality players have come to expect from the gaming website. The design is crisp and clean, while browsing between game variations and betting types is very fast. It's a highly welcome addition.